Just got an email and had to share. Today’s strikes are disrupting the lives of millions. Schools have been shut, damaging children’s education and forcing parents to take time off work or scramble round for childcare. Libraries and other public services have closed, causing difficulties to families across the country. so just like your plans for our NHS. 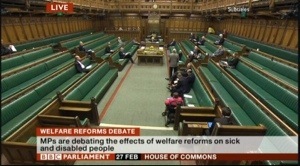 It was you who scrapped Disabled Students Allowance http://www.mage-net.net/2014/06/05/dsa/ And raised fees. It was Mr Clegg who blocked Childcare reforms. We are clear: these strikes are wrong. What’s wrong is you not listing to the people. These strikes are due to your actions. Labour left our economy in a mess. We have taken difficult decisions that have reduced the deficit by over a third – and we need to keep on dealing with our debts to safeguard the economy for the long term. with zero-hour contracts with offer no security at all? We can’t go back to Labour’s way of more spending, more borrowing and more taxes. It would wreck the recovery and put jobs at risk. 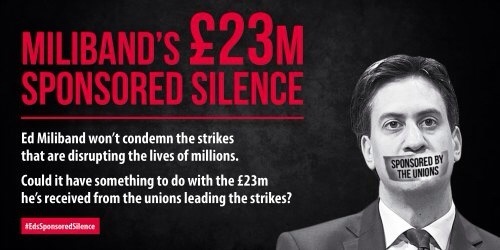 Yet Ed Miliband refuses to condemn today’s strikes. There is only one conclusion we can draw from his silence: he’s too weak to stand up to the union paymasters who have donated £23 million to his Party. He is week, if it was me I demand Cameron’s head on a spike. Along with Miss Miller in jail and IDS living on benefits. If Ed Miliband can’t stand up to the unions on this, there is no way he could stand up to them if he ever got into Downing Street. 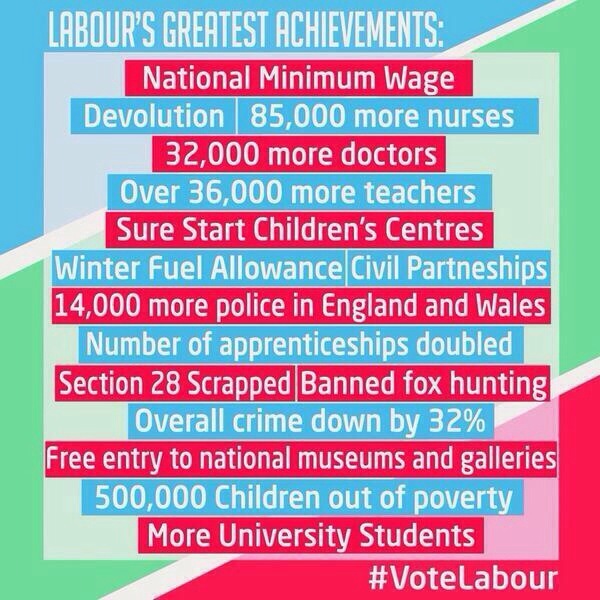 Please share this graphic on Facebook and Twitter to let everyone know that Miliband’s just not up to it.